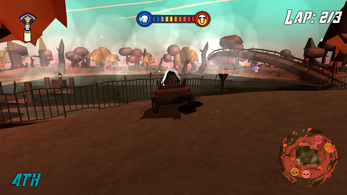 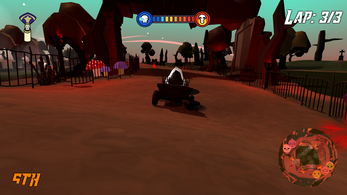 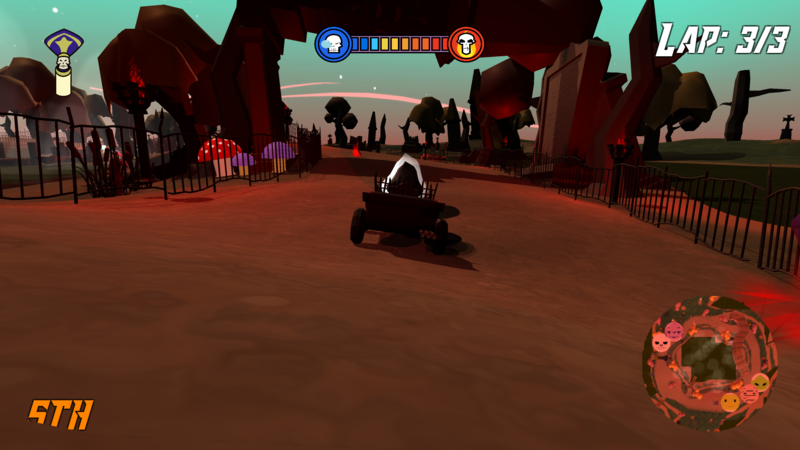 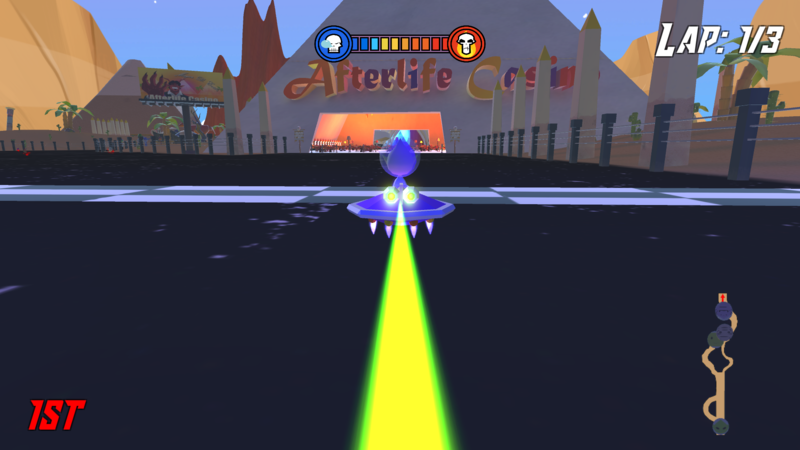 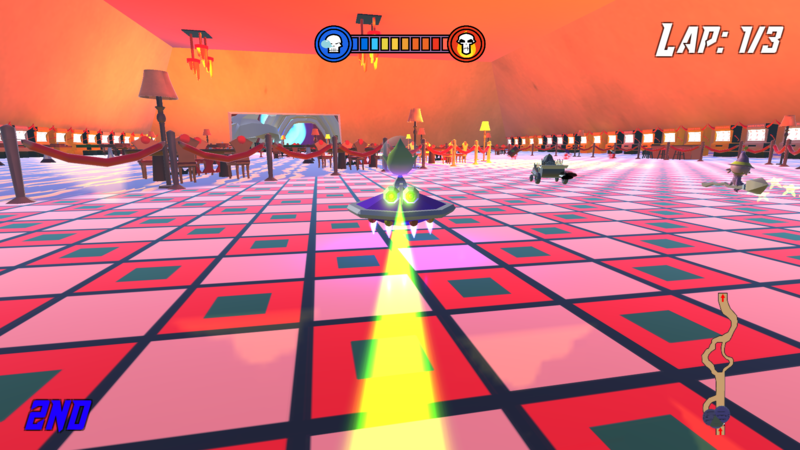 Hell on Wheels is a 3D kart racer with a paranormal theme, cartoon aesthetic, multiple playable characters with unique abilities, and usable items. 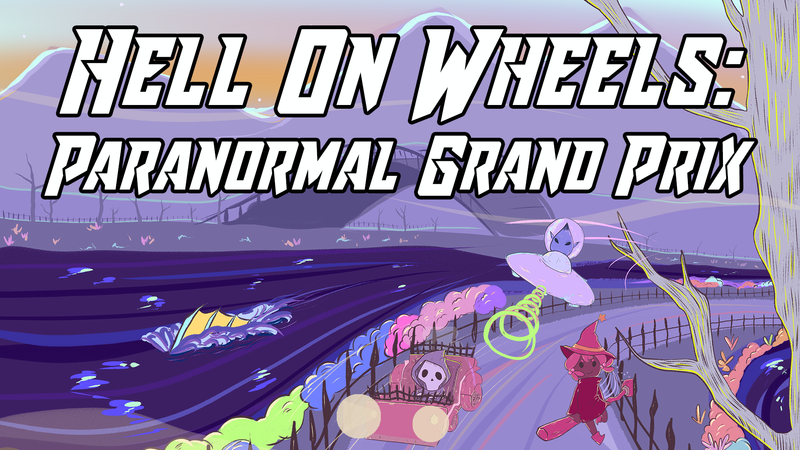 Players can choose from a variety of racers to participate in the Paranormal Grand Prix, a race put on in Hell promising incredible rewards. An introductory cutscene provides narrative context, but each track is separately contextualized and selectable at any time by the player. 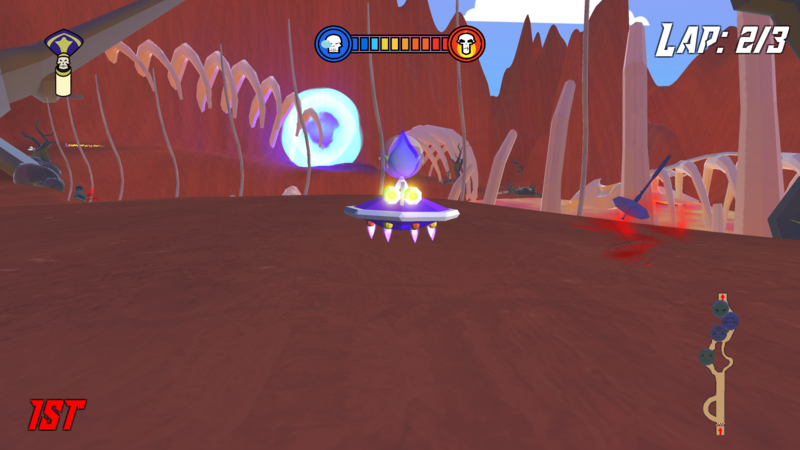 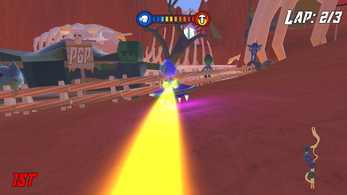 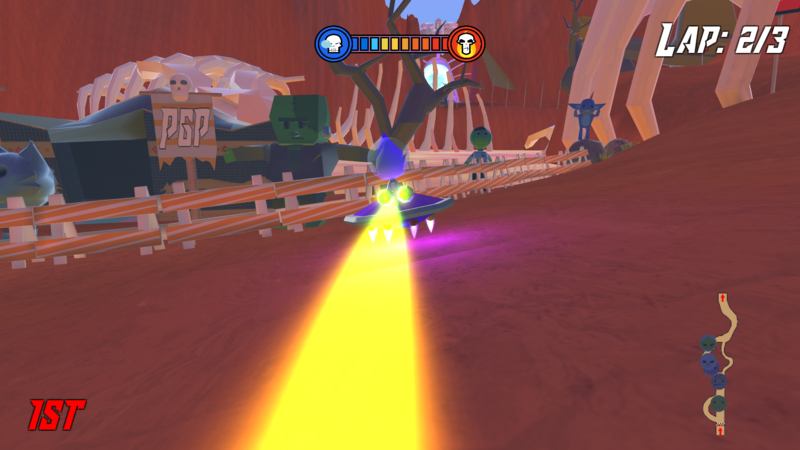 Items have a variety of effects, and each racer can activate a powerful ability, unique to their character, to gain an advantage.